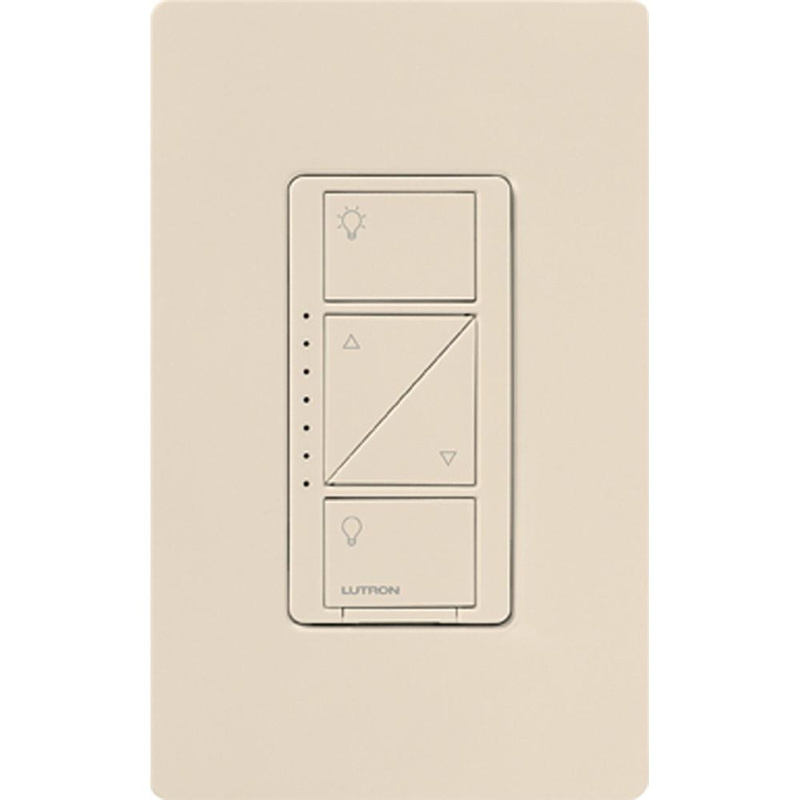 Lutron Caseta® Multi-location in-wall wireless dimmer in light almond color, has voltage rating of 120-Volt AC at 50/60-Hz. This 1-Pole in-wall wireless dimmer in gloss finish, works with 250-Watt CFL/LED, 1000-Watt incandescent/halogen and 1000 VA MLV lamps. Lutron patented clear connect RF technology works through walls and floors. It is suitable for use with Hi-lume® 1% 2-Wire LED drivers and power interfaces. Dimmer measures 4-11/16-Inch x 2-15/16-Inch x 5/16-Inch. It operates at temperature range of 0 to 40 deg C. Dimmer comes with front accessible service switch for safe lamp replacement. It works with Lutron radio Powr Savr occupancy and vacancy sensors in stand-alone applications. In-wall wireless dimmer is cULus listed, NOM/FCC certified and meets NEMA 410 standards.